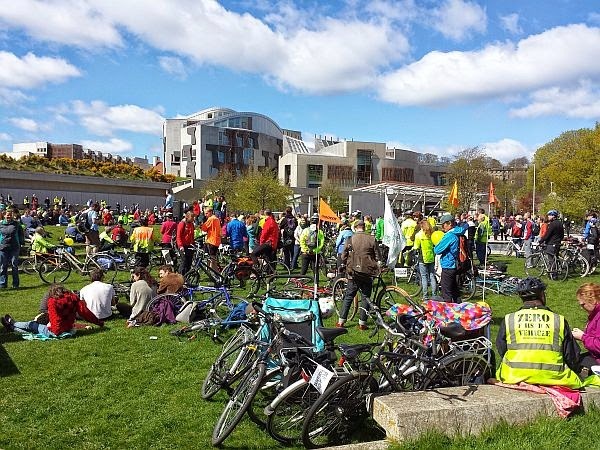 Today I went to Edinburgh to meet up with friends and to participate in the fourth Pedal on Parliament ride from the Meadows in the south of the city to the Scottish Parliament. 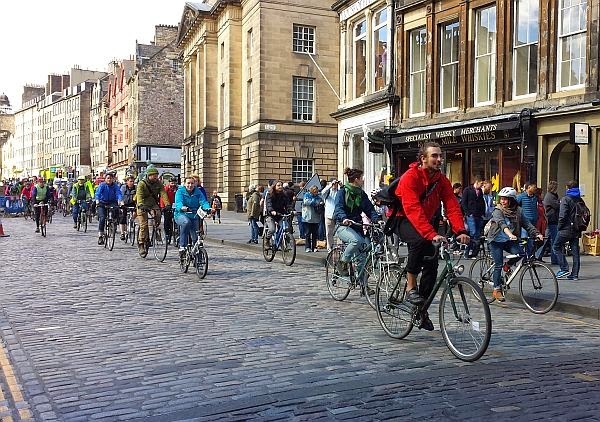 Although it was a cycling event, those without bicycles could walk the route instead. 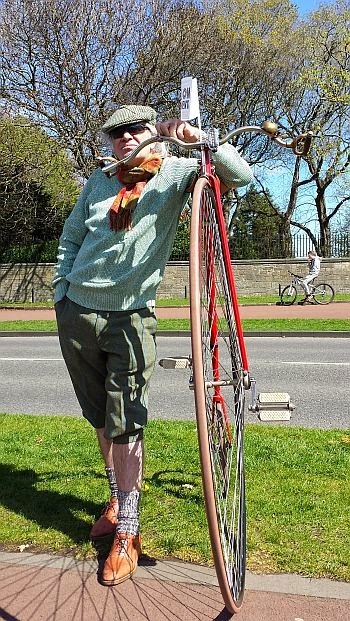 I didn't take my bicycle as it would have meant having to leave it while visiting some of the sights after ride. I travelled on the Cross Country Glasgow to Penzance train from Motherwell to Edinburgh Waverley. This only takes about 50 minutes and is through pleasant countryside. 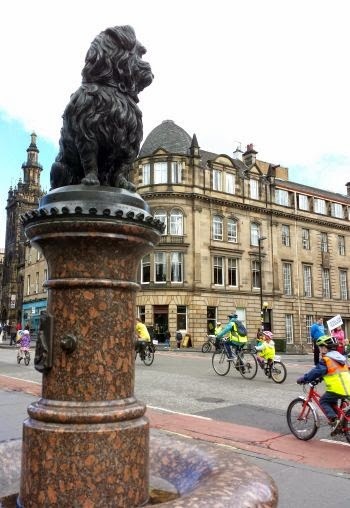 After arriving I walked to the Meadows via the George V Bridge, Royal Mile and Forrest Road to the Middle Middle Walk entrance and met my friends there. I had also pre-ordered a lovely teeshirt which I collected when I arrived. It was too cold to wear it so I put it in my bag to proudly wear on a warmer day. 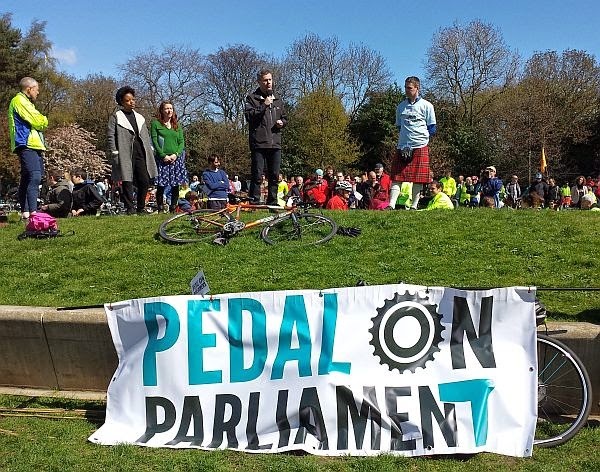 The Pedal on Parliament movement aims to make the roads safer for cyclists and get the Scottish Government to invest in making the roads safer in Scotland for cyclists. 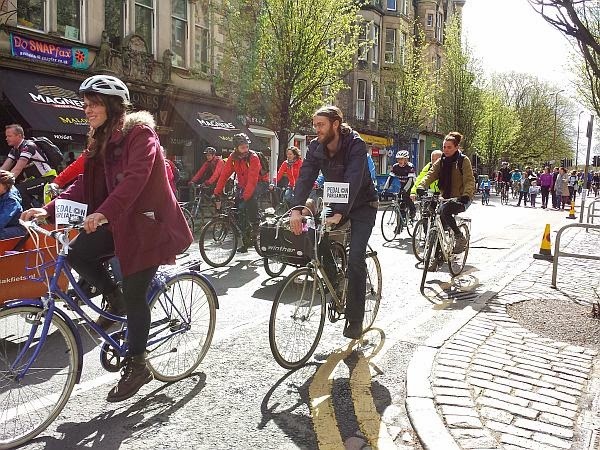 The group and supporters would like the Scottish Government to to commit a minimum of 5% of its transport budget – revenue and capital – to cycling within an overall commitment of 10% of the transport budget to active travel. 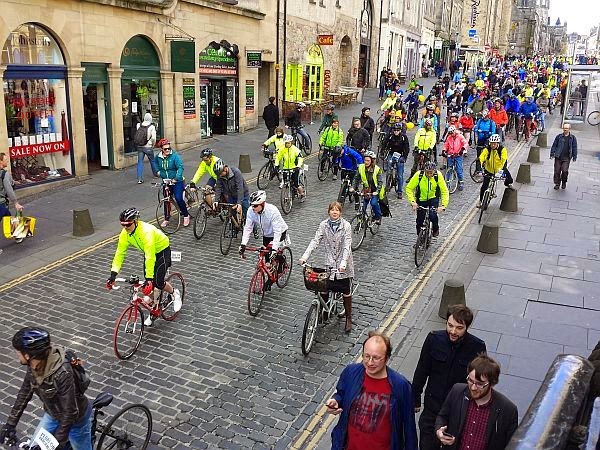 The ride started at 12.00 noon and travelled from the Meadows at Middle Meadow Walk, down Forrest Road to George IV Bridge then onto the Royal Mile. 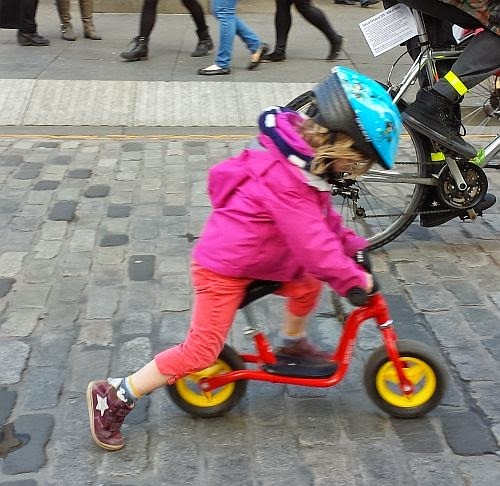 The Royal Mile is mainly a cobbled road and that was another reason I left my bike at home. The Scottish Parliament is at the foot of the Royal Mile. 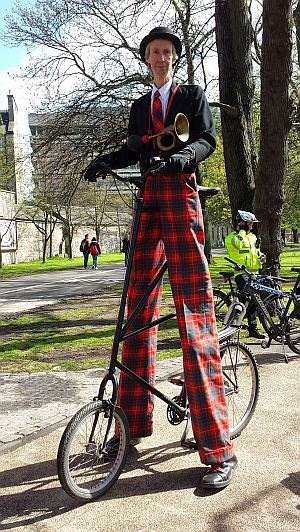 The weather forecast was for heavy rain but it was dry when I arrived in Edinburgh and the sun eventually came out at 11.30, just before the ride began. It was quite cold though and I had my woolly hat and fingerless gloves on to keep warm. 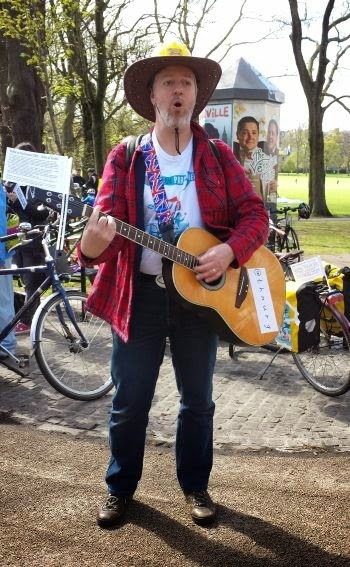 After arriving outside the Parliament there was a minutes silence for those killed on the roads and a number of speakers addressed the crowds including Briana Pegado, President of the Edinburgh Student’s Union, Emilia Hanna of Friends of the Earth, Transport Minister Derek Mackay, Cameron Buchanan (Conservatives), Sarah Boyack (Labour), Green MSP Alison Johnstone and Bruce Whitehead Left Unity candidate. 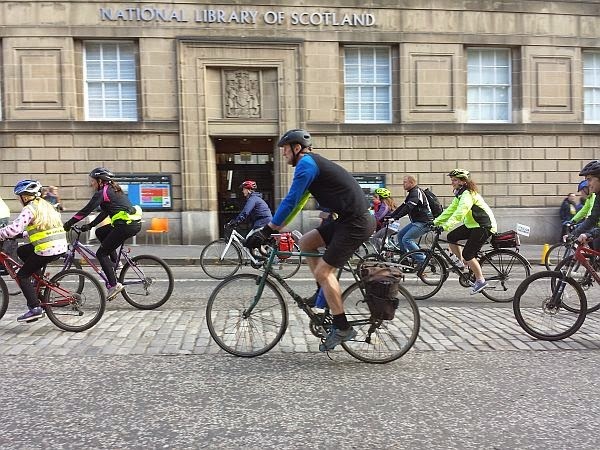 Transport Minister Derek Mackay he would do everything to support cycling and committed the government to spending more on cycling in for 15/16 than in 14/15. 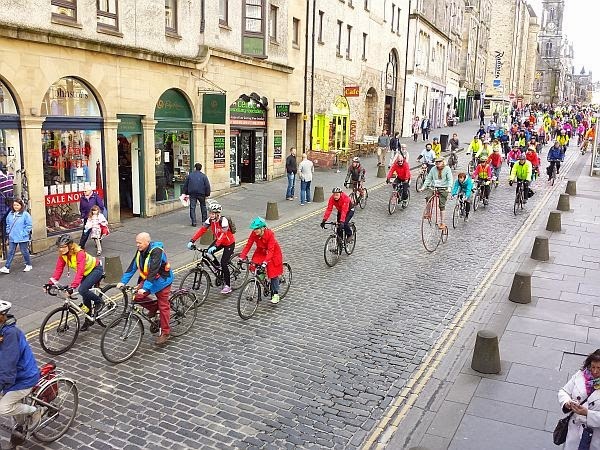 It was a great day out and the ride got a lot of coverage in the media which was a measure of how successful it had been. 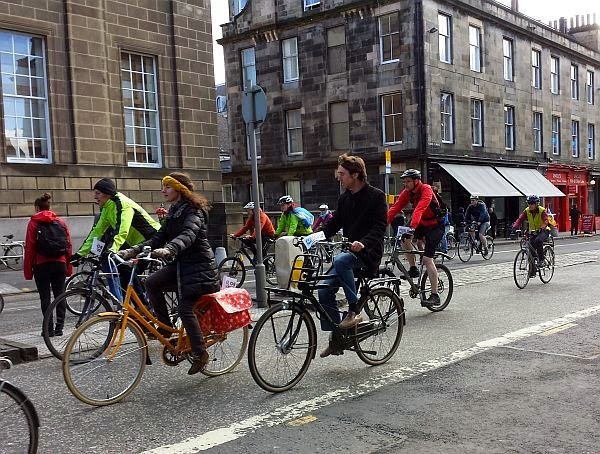 I look forward to the improvements for cyclists on the roads.